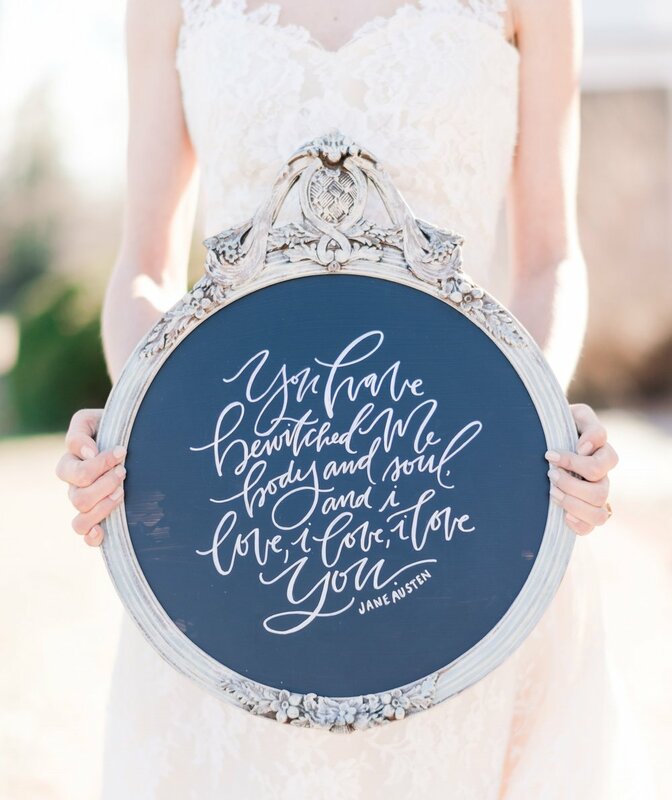 That Mr. Darcy sure does have a way with words, which is why I chose this sweet, timeless quote to use in our recent romantic, Jane Austen inspired wedding photo shoot. 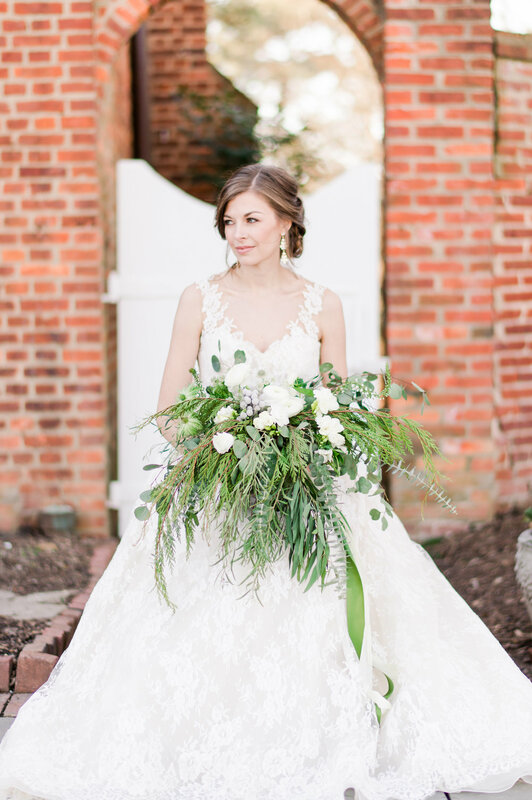 Coordinated by Jenny B Photography, our team of talented local wedding vendors spent an afternoon at River Farm, one of George Washington's many gardens along the Potomac River. The location has so much beauty and history, which made it real easy to channel our inner Jane Austen while capturing the essence of an Austen novel and the historical British backdrop she so beautifully captures in her stories. 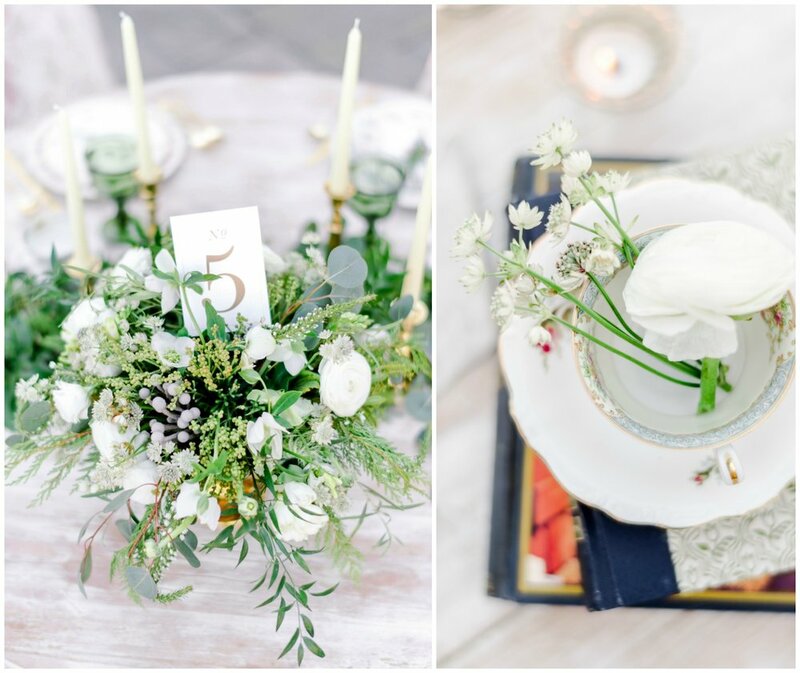 Some of the details included neutral colors, cascading greenery, mismatched tea cups and saucers, gold accents, lovely delicate lace, and vintage books. As far as my part in this lovely day, I got to design the invitation suite, menu, and table number, as well as add a touch of hand lettering on the painted vintage mirror. Ring Box: Jenn Heller Design Co. Hair : Tress Hairstyling Co.